Right now, websites like Amazon, eBay, Best Buy, and Newegg, are running some impressive deals. These deals range from smart bulbs to jigsaws, but there are a few standout discounts that we’re really excited about. Newegg’s $379 refurbished Surface Pro 3 deal is especially exciting. The Surface Pro 3 is a few years old, but it’s an incredible tablet that rivals most laptops in the $400 price range. 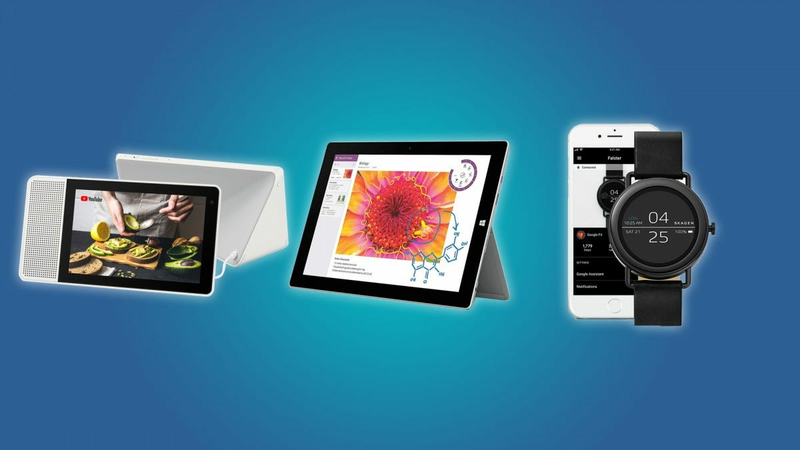 If you aren’t interested in tablets, you should check out eBay’s $62 Lenovo Smart Display, or the $99 Falser 1 smartwatch from Skagen (with coupon code 30OFF). Grab a premium laptop at a massive discount. Upgrade your phone or grab a stylish new smartwatch. Upgrade your smart home with these killer deals. Buy a discounted Nintendo Switch or grab a paper-thin QLED TV. Make your music more enjoyable with these discounts. Need a new yoga mat or a jigsaw? We’ve got the deals for you. Good deals can’t last forever; it’s just a fact of life. If any of these deals strike your fancy, be sure to scoop them up before it’s too late.